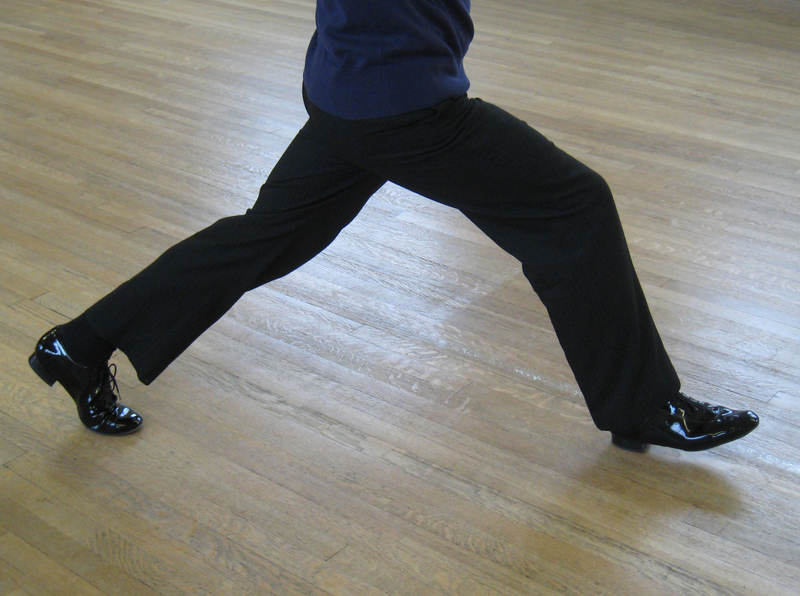 In our latest blog post, we look beyond the basic timing of some of the ballroom and Latin American dances and explore timings for different parts of the body to allow the dance to develop. One of the differences we can see between the beginner dancer and the experienced dancer is a greater use of timing. As a dancer’s capability increases, so does the ability to isolate different parts of the body. This can offer an enhanced movement, the addition of style and interpretation within a figure, and an improved feel for the body weights through leading and following. For example, learning the Rumba for the first time, the beginner dancer might just place the feet and body at exactly the same instant. The result can make the dance appear slightly staccato, particularly as the full value of a ‘slow’ is not danced. We’ll start to explore some different timing and appreciate some differences. Start with your feet together, weight over one foot (choose your favourite!). Deliberately move your body to the side at the same time as your foot, as far as you can without cheating too much, ending with your feet apart. Of course, this is impossible to do unless you fall into the moving foot, or if you’ve shifted some of your weight in the opposite direction to help counterbalance. Now set your feet a relaxed distance apart with your body weight fully over one foot, the other foot being held free to the side. By that, we mean your centre of gravity is now over one foot. Try the same exercise with one foot forwards in front of the other. Feel the body moving from one foot to the other and play with the resistance in the ankles, legs and core to change the way the body moves between the feet. In that situation, relative to the floor, you have two stationary feet (allowing the free stretch and movement within) and a moving centre that shifts from one foot to the other; clearly our foot timing and body timing are different. Clearly the feet and centre are not the only points that can move freely of each other. It is the coordination of a number of these points – how they relate, their timings, and resistances – that builds a toolkit for a more bodily expressive dancer. If we keep this in mind, we’ll look briefly at some particular examples. In fact if you want to arrive truly midway between your feet then the moving foot must travel twice as quickly as the body in order to cover twice the distance and there will be a time when your feet are stationary but the body is moving (that was the exercise that we motivated earlier on). So once we move on from the early days of Slow Foxtrot learning, we realise we must time the body, not the feet. This doesn’t have to bring with it a rush for the Paracetamol though. The great news is that if you time the body correctly the feet will kindly look after themselves! Finally let’s just look briefly at a different part of our body and explore some timing changes there. Consider a Spot Turn in Rumba with an awareness of both the direction of where you look, and where your centre points to. As we all know, a high degree of independent movement exists here – you can look behind you without turning your body for example. Try dancing the Spot Turn three different ways with the relative timings between centre direction and face direction. First dance the head turn at exactly the same time as the body turn. Next try advancing the head turn before the body is turned. Finally, turn the body first, following with the head. Explore which you normally dance and feel the differences of each body part timing through the spine as we twist. In actual practice you need to have this freedom of expression and between you and your partner each version offers a different feel. When you next head for a practice, keep in mind to explore the timing of the parts of the body and be aware of what timing you would like to dance. Take some time of your own to be even more aware of the feet, the knees the hips, ribcage, shoulders, arms, wrists, hands, heads and feel how those places are moved, when they move and how they interact. Don’t go crazy, as too much thinking can leave you frozen solid; instead aim to feel the actions you dance and how you bring the musicality through your body. This entry was posted in Ballroom & Latin and tagged ballroom, dancing, latin, Technical Tips, Technique, timing by vivaladance. Bookmark the permalink.